This corn bread can be made in 2 skillets, 2-9 inch pie pans, or 24 muffin pans. I love using the silicone baking muffin pans, as they require no vegetable spray. 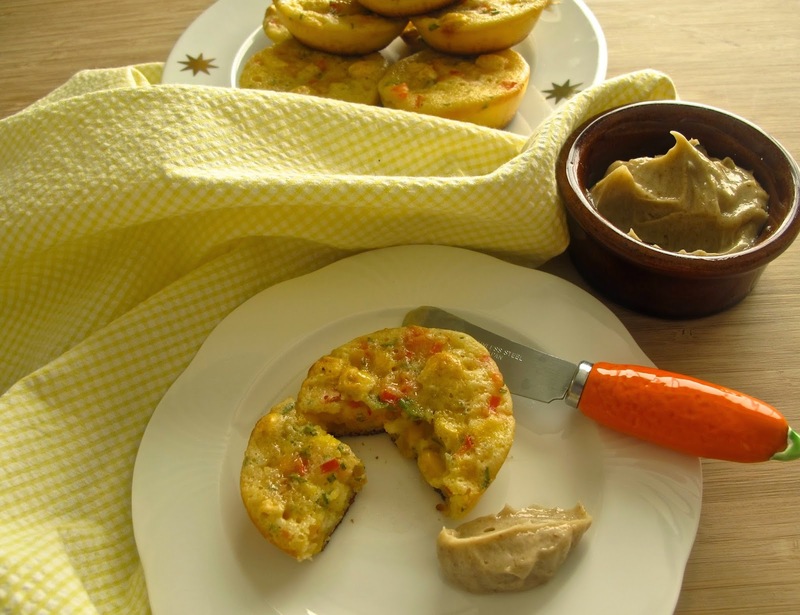 Traditionally served alongside chili, these muffins can also be used like a sandwich. For a more savory corn bread, jalapeno can be added and sugar omitted. Spray two 9-inch pie pans or skillets, or two muffin pans. Coat the bottoms with granulated sugar, if desired. In a mixing bowl, combine corn muffin mix, corn, rosemary, cream, red pepper, eggs, and shallots, mix well. Pour batter into prepared pans and bake about 40 minutes, less for muffins, until a toothpick comes out clean. Mix all ingredients together, to taste. Serve a scoop on top or alongside corn bread.